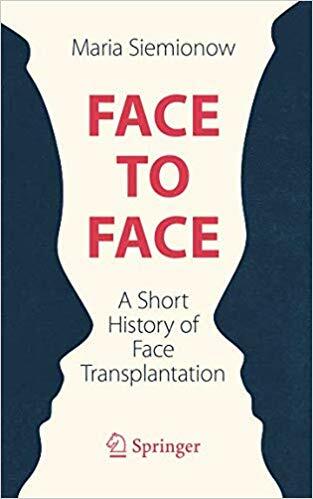 This book creatively communicates the human and professional sides of the journey to the first ever near total face transplant, the response to this milestone in the medical community, and the effect it has had on the individuals involved. It focuses on the evolution of Professor Maria Siemionow as a microsurgeon and the processes by which she sensationally overcame the challenges her team encountered including the successful manipulation of the immune system to avoid rejection of the face tissue by the recipient. 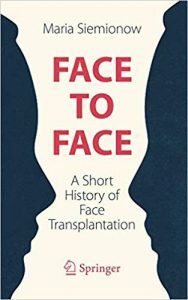 Face to Face: A Short History of Face Transplantation combines the medical and human elements of the development of face transplant surgery. It is not only targeted at the surgical professional and trainee, but also the general public who wish to read about the journey of how a significant medical advancement was made. It is also great reading to inspire girls of an age where they are thinking about career paths to believe they can do something extraordinary and could persuade some to pursue a career in an STEM subject.